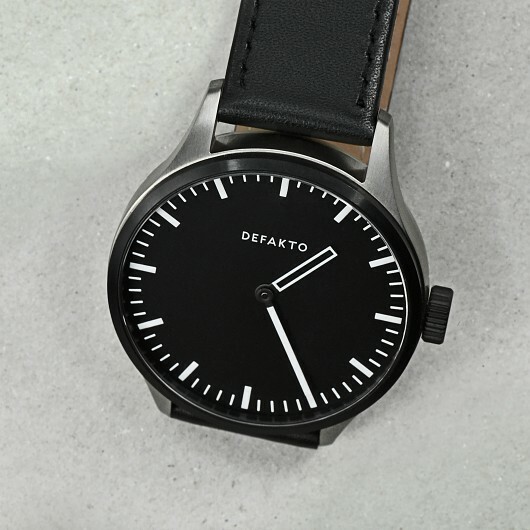 The two-handed Defakto Akkord Modular is a striking, slightly brutalist aesthetic statement offering excellent readability. 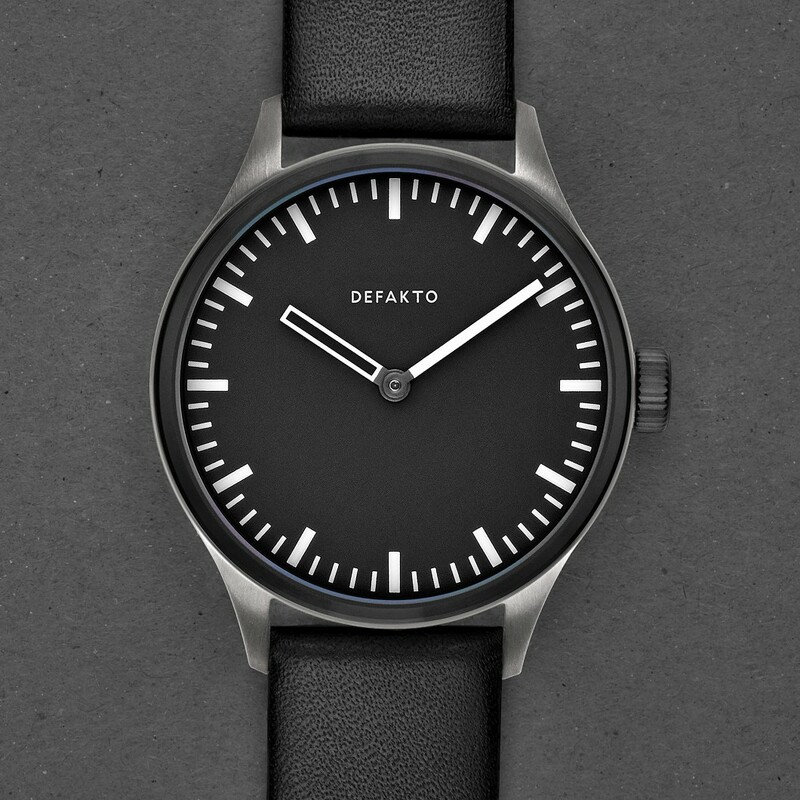 It now also comes in Titan. The semi-coarse brushing of the 42 mm watchcase middle piece gives the two styles a subtle texture, while the contrasting materials play off the stark dial for a modern and sophisticated look. The accurate Swiss-made ETA 2824 automatic movement drives the skeletonized hour hand, whose inner width perfectly matches the index-sized minute hand, providing a unified geometric stripe as the hands eclipse each other. 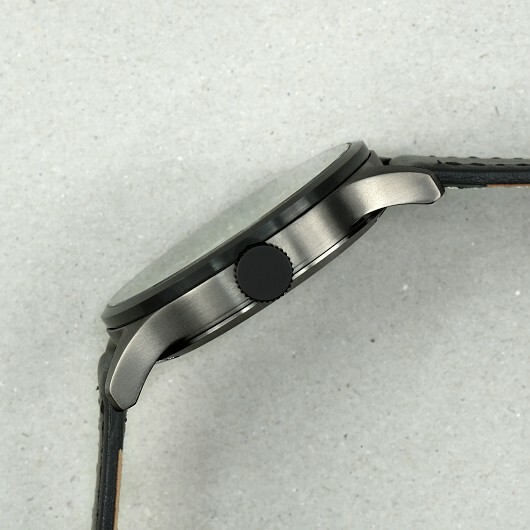 The interplay of the clearly arranged indexes of the dial and the interacting hands sets a contemporary note and leads to a high readability – even in the dark thanks to luminescent Superluminova coating. 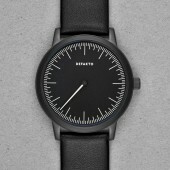 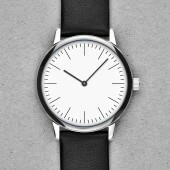 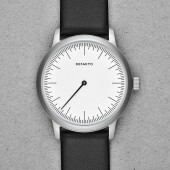 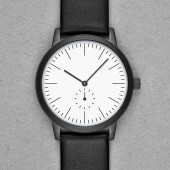 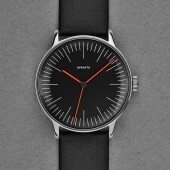 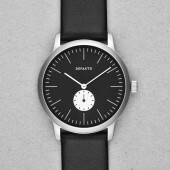 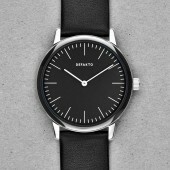 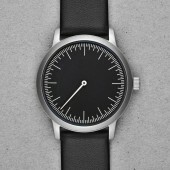 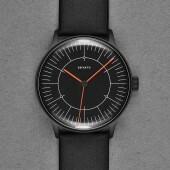 The tension between the size of the markers and the negative space in between, the rhythm of the forms and their interaction with the uniquely shaped hands make up the minimalist character of the watch. 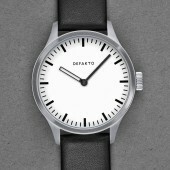 The strict proportions and clean lines of the dial and hands aid in an accurate telling of time. 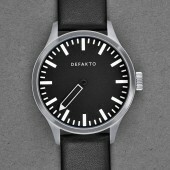 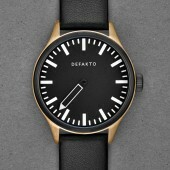 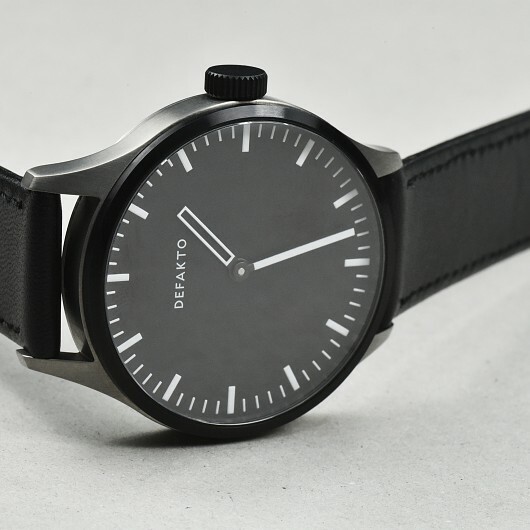 Pure and timeless, the Defakto Akkord is a versatile watch that invites wearing on a daily basis. 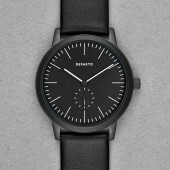 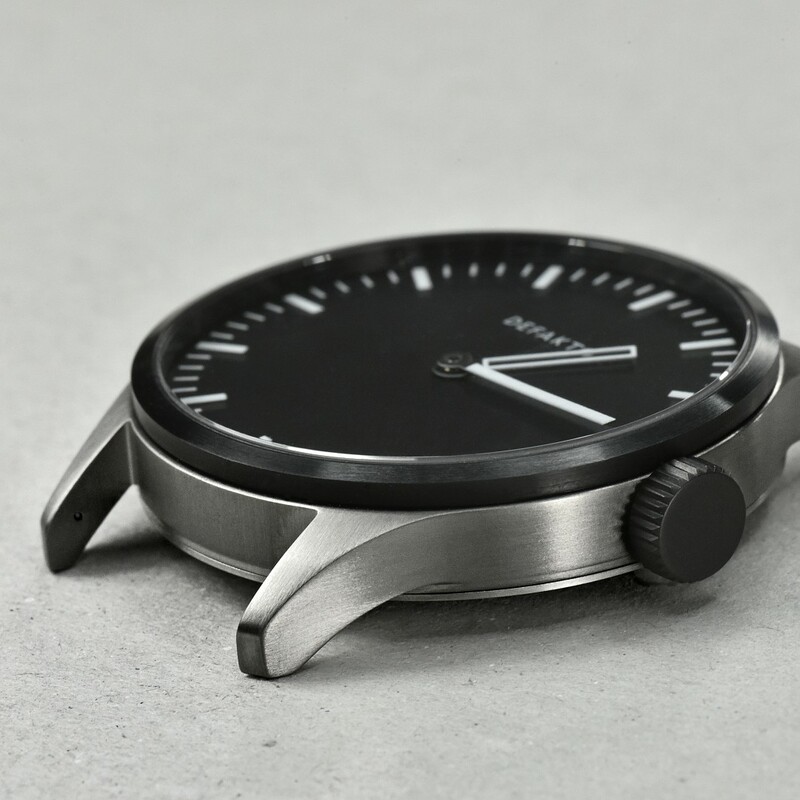 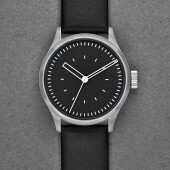 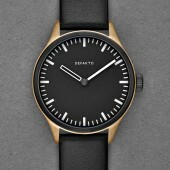 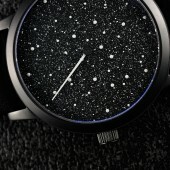 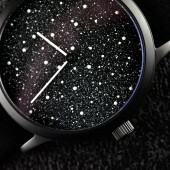 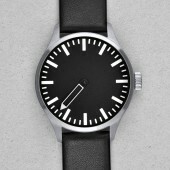 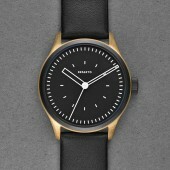 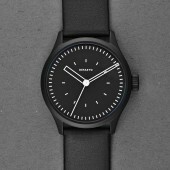 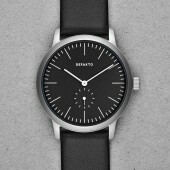 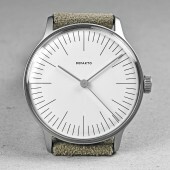 This characterful watch has been honored with the German Design Award.